March 22, 2019 8:30 A.M. -- 4:30 P.M. Registration deadline: March 18, 2019 at 12:00 P.M. Location: University of Massachusetts Amherst, UMass College of Information and Computer Sciences, located at the Computer Science Building, 140 Governors Dr., Amherst, MA 01003, Room 151. Click here to see campus map (the Computer Science Building is in quadrant B2 of the campus map). Parking information is below. The goal of NESD is to bring together premier practitioners, researchers, students, and funding partners in security, in and around New England. 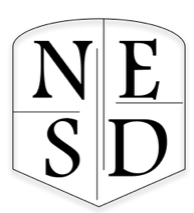 NESD serves as an opportunity to share the latest advances, debate roadmaps and future directions, create new collaborations, and seek new opportunities. Over 100 people are scheduled to attend, including researchers from: BAE Systems, BBN Technologies, Boston University, Brown University, Cigitas, Cisco, Colgate University, College of the Holy Cross, Cornell University, George Washington University, Guardian Project, Harvard University, IMDEA Software Institute, Keene State College, MIT, MIT Lincoln Laboratory, MITRE, New York University, Northeastern University, Robnett Consultants, RSA Labs, Stony Brook University, Tufts University, UMass Amherst, University of Connecticut, University of Vermont, Veracode, Worcester Polytechnic Institute, and Yale University. Light breakfast and lunch will be provided. If you are a poster author, note that we will have easels for everyone to use. No need to bring your own. We will also have 2'x3' posterboard and clips for you to use. Please make your poster that size. If you want to make it larger, you'll need to bring your own posterboard. We would also like to invite you to submit presentation proposals. We are interested in all presentations that concern research on computer security. NESD presentations do not need to be about polished or complete results. Proposals for presentations of preliminary work, progress reports on ongoing projects, useful lessons from research that has failed, and tool demos are also welcomed at NESD. For submissions, please use https://easychair.org/conferences/?conf=nesd19. Deadline is March 7, 2019 (extended). You will be notified via email by March 8, 2019. There are 12 slots for presentations in the schedule. If we have more presentation proposals than slots, we will select presentations based on the diversity of the participants' talks, and appeal to a broad audience. Each slot is 25 minutes long. However, we would like to use an unconventional slot structure. Each speaker will be given 15 minutes to present their material (strict). Then for 5 minutes, members of the audience will form groups of 3-5 people, discuss the talk, filter and form questions. The last 5 minutes of each slot will involve Q&A between the speaker and the audience. This structure encourages members of the audience to interact with each other and exchange opinions, and clarify their understanding of the talk. It is especially beneficial for students as it will allow them to interact with senior researchers. Moreover, the quality of questions filtered up to the speaker is improved. We invite you to submit a poster proposal as well. Like the talks, posters should concern security and can report on ongoing work. Posters will be displayed all day around the workshop space; there is no particular poster session. We have limited space for posters, and we'll follow the same selection process that we have for presentations. For submissions, please use https://easychair.org/conferences/?conf=nesd19. Deadline is March 7, 2019 (extended). You need to submit only a couple paragraphs and not the presentation itselt; similarly, we do not need the poster until the day of the event. NESD will be held in Room 151 on the ground floor, at the UMass College of Information and Computer Sciences, located at Computer Science Building, 140 Governors Dr., Amherst, MA 01003. IMPORTANT: When you enter the parking garage, you will be issued a gate ticket. TAKE YOUR TICKET WITH YOU (do not leave it in your car). When you check in for NESD, you will be given a parking coupon. At the end of your visit, when you return to the parking garage, but before you return to your car, stop at a garage paystation. There you will enter your gate ticket for validation, and scan your parking coupon. Attendees will be charged a parking fee of $6.50 with discounted parking coupon. Your validated gate ticket will allow you to drive out of the garage. A block of rooms, at a discounted rate, have been reserved at Hotel UMass for Thursday, March 21st ($129*). Please contact the hotel directly at 877-822-2110 on or before February 21, 2019 to secure your reservation (Group Code: CSM19C). *There are applicable fees, currently 6%, plus $1.00 per room, per night. The open exchange of ideas and the freedom of thought and expression are central to the aims and goals of NESD; these require an environment that recognizes the inherent worth of every person and group, that fosters dignity, understanding, and mutual respect, and that embraces diversity. For these reasons, NESD is dedicated to providing a harassment-free experience, and implements the ACM policy against harassment.Participants violating these standards may be sanctioned or expelled from NESD, at the discretion of the organizing committee members. A useful related resource is the Geek Feminism Wiki, which includes models for public announcements and guidance for conference staff. If you hear an inappropriate remark, intended or misjudged, we encourage you not to stay silent. You may find this list of comebacks to be useful. NESD 2019 is supported in part by National Science Foundation award DGE-1565521.